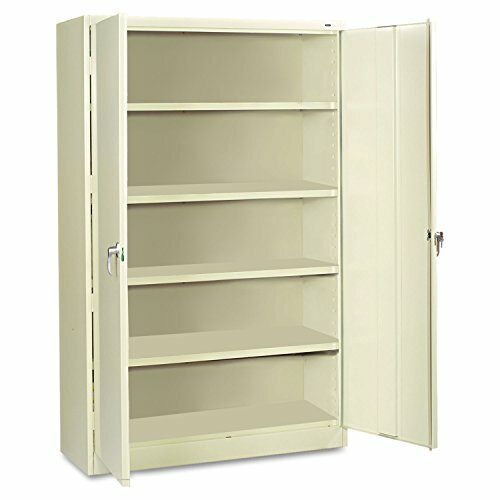 Tennsco jumbo storage cabinets are the perfect choice. This 48" wide cabinet provides 13 more cubic feet of storage than a 36" wide cabinet. Our specially engineered shelves utilize box formed construction to accommodate heavy loads. Even with the extra wide shelf span, they will support 400 lbs. per shelf. Each extra wide door rides on four heavy-duty leafhinges while a three-point locking system ensures secure storage for even the bulkiest materials. Integrated levelers keep the unit level on uneven floors.